Santa gives the order to fire at seperatist positions. 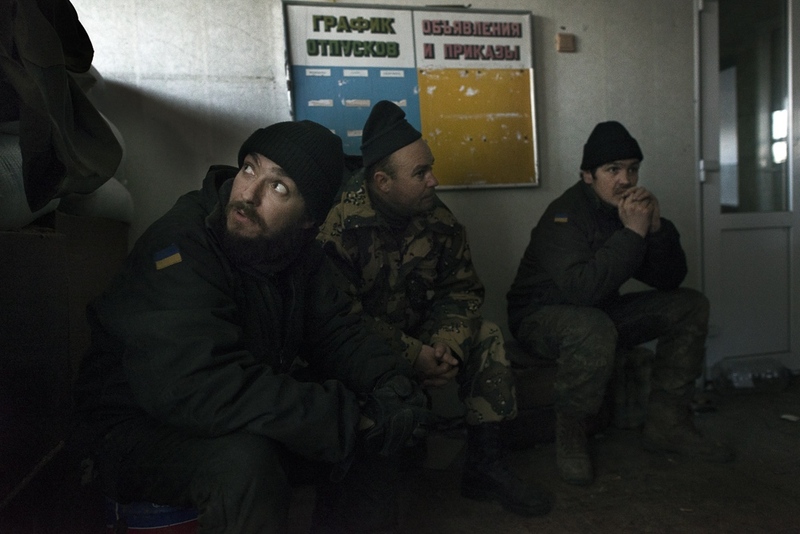 The men watch reconissance footage of an enemy troops being hit by a shell after crossing into Ukrainian held territory. 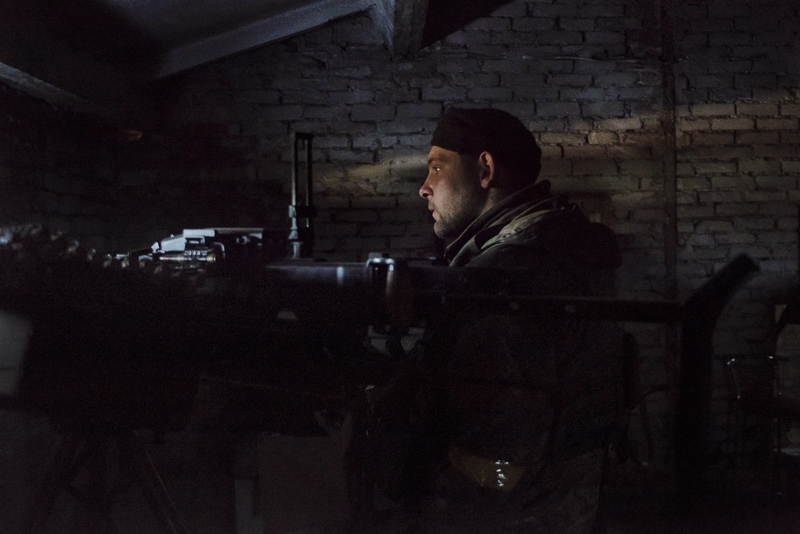 A Ukrainain soldier operates a machine gun 100 meters from seperatist positions in Avdiivka, Ukraine. 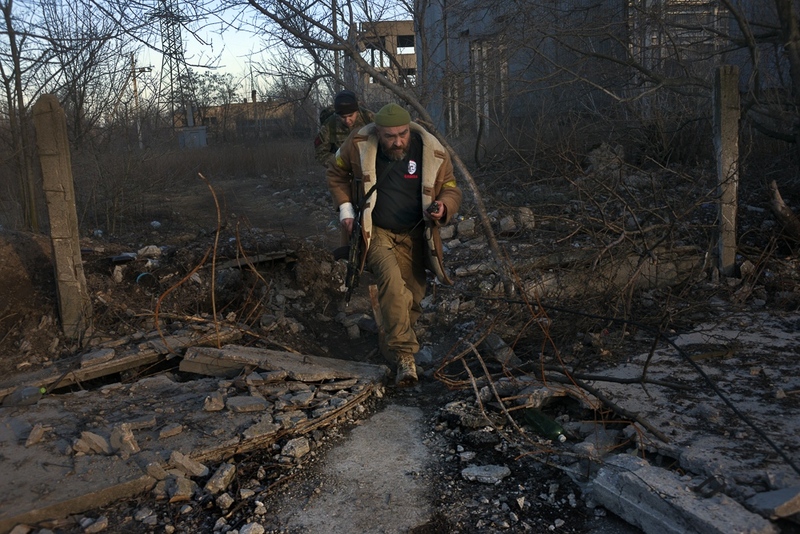 Santa and Donut move between positions on the front line in Avdiivka. 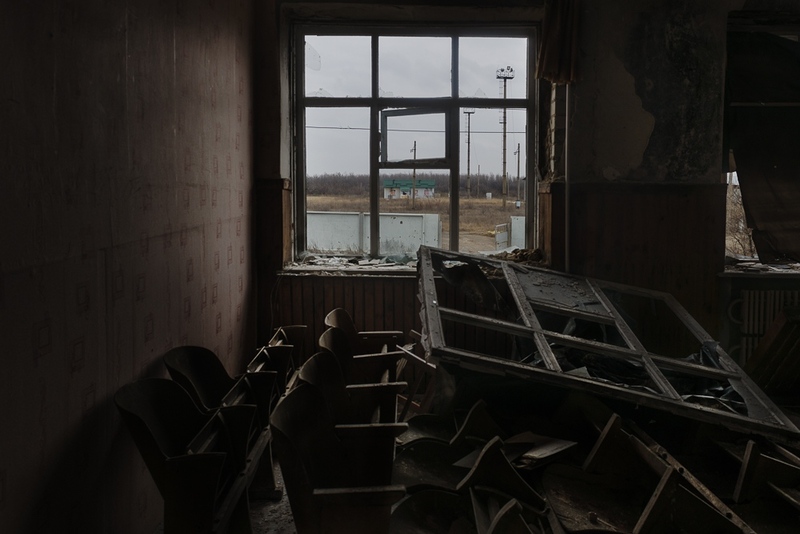 Inside the industrial zone between Avdiivka and Donetsk. 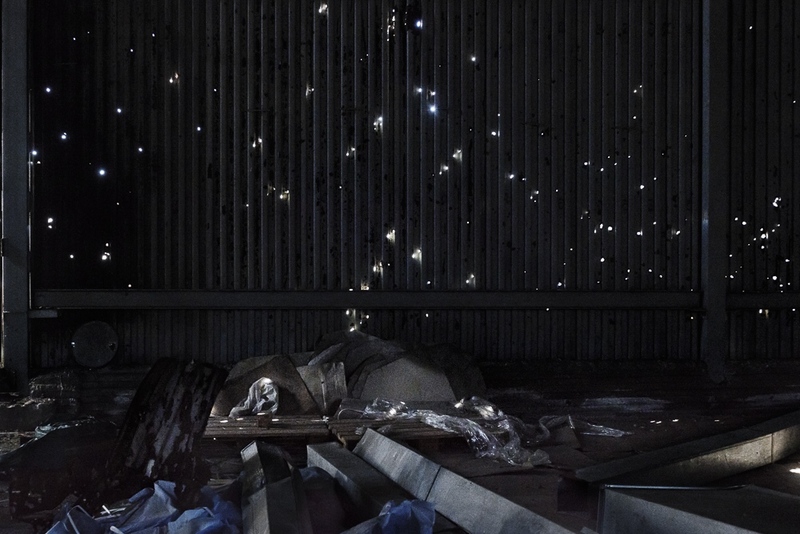 Shrapnel damage to a wharehouse in Ukrainian held territory in Avdiivka. 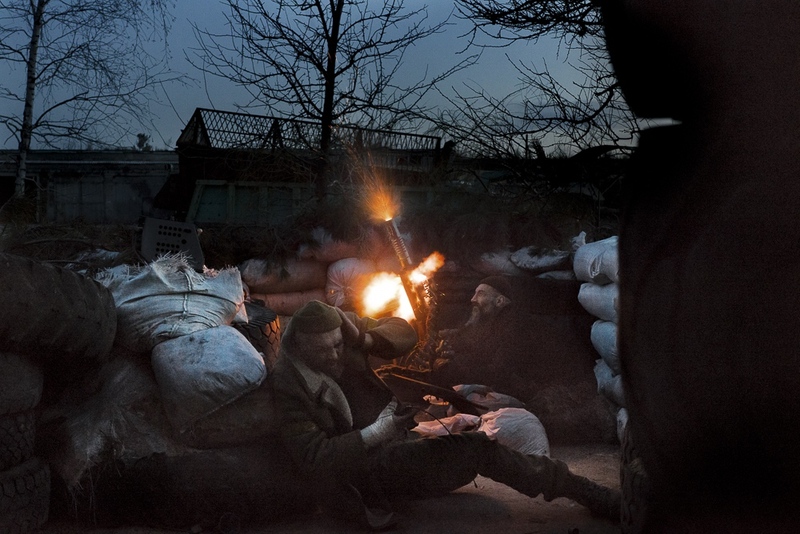 A Ukrianian soldier killed in a mortar atack outside the volunteer's position. Santa, who has been awake for almost 24 hours continues to monitor communications while Donut relaxes. Newt brings ammunition to the position's gun during a heavy bout of shelling. 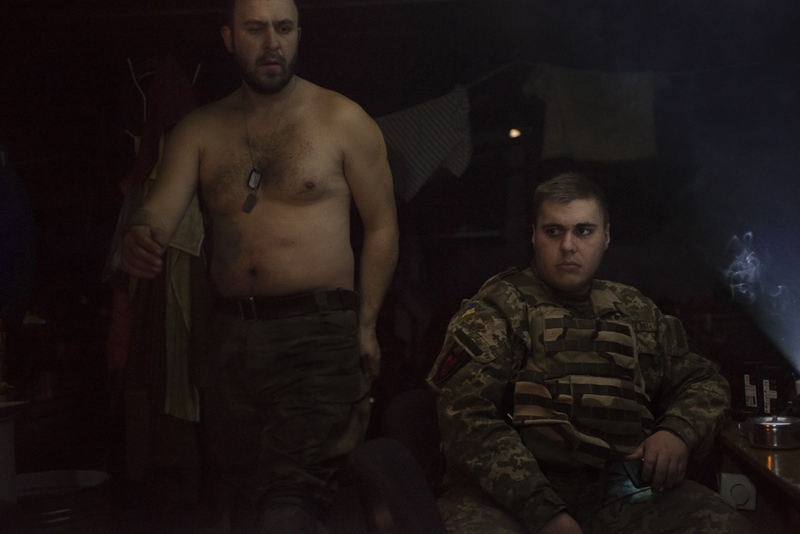 Yar looks at Donut who has recently arrived to join the volunteer unit on the frontline in Avdiivka. Newt watches as shells land outside the unit's position. Men risk exposure to mortar attacks in order to call family. The only spot in the postion with cell service is located upstairs in a stairwell facing seperatist troops. 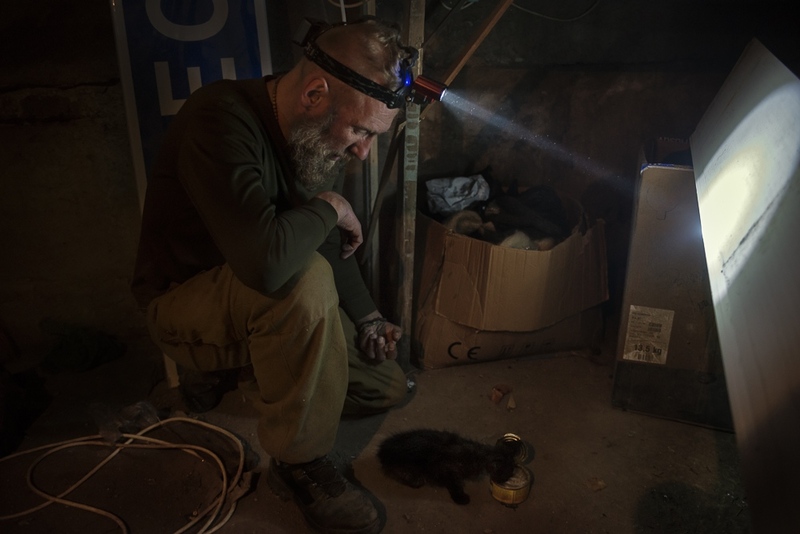 Newt has been feeding a sick kitten and tried to keep it in the kitchen area of the bunker. Newt is upset that he is not allowed to keep a sick kitten in the kitchen. 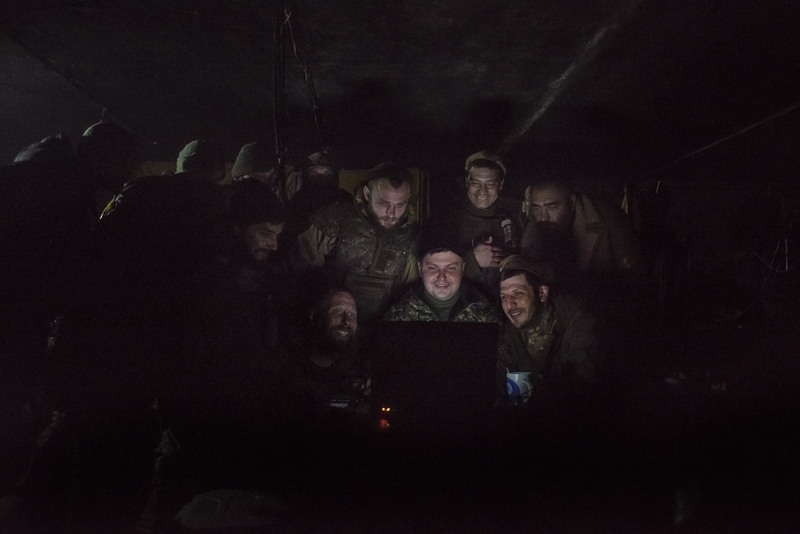 Despite the shelling continuing outside, Commander, Newt, Martin, Pilot, and Santa whatch a documentary about the battle for Donetsk airport, which they had particpated in last year, in a bunker on the frontline in Avdiivka, a hundred meters from DNR troop positions. 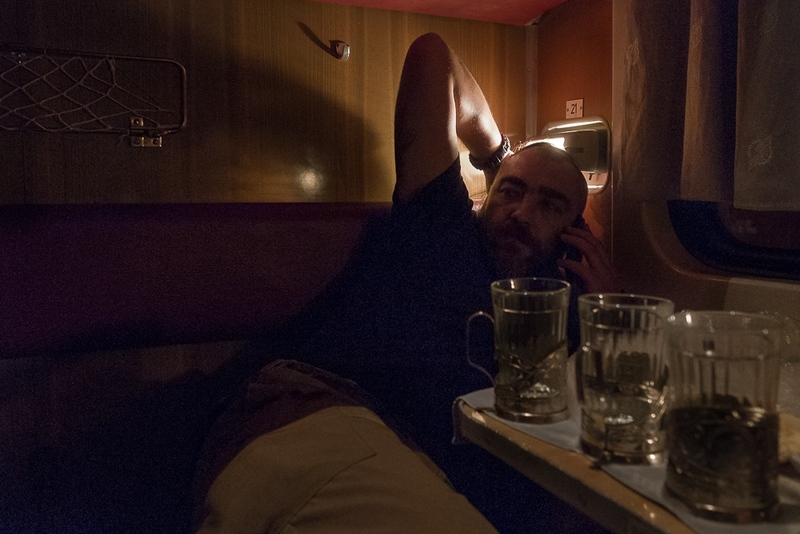 Santa, leader of a unit of unpaid volunteers in Right Sector, speaks with his wife on the overnight train from Kiev to Krasnoarmiisk while on his way to the front line. The top floor of the men's building has been destroyed by a shell. 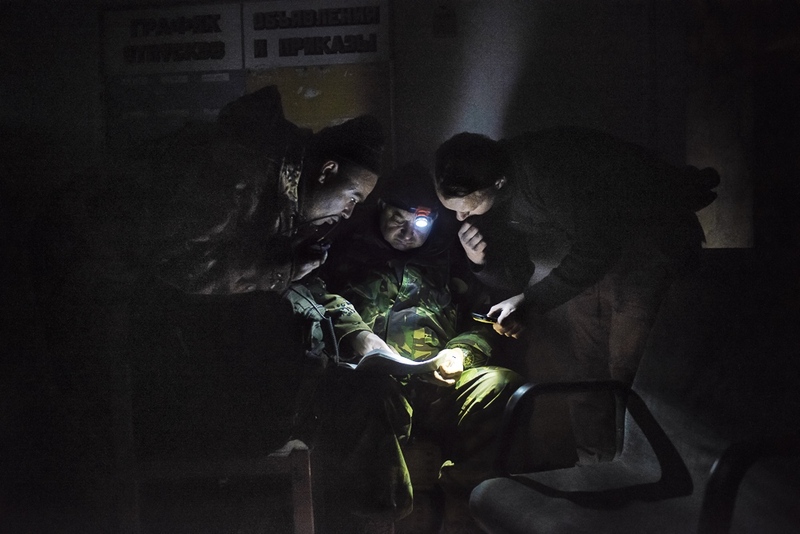 Ivan, a regualr army soldier holds the light for Newt, an unpaid volunteer soldier in Right Sector as he prepares an ammunition belt for their postion's guns. 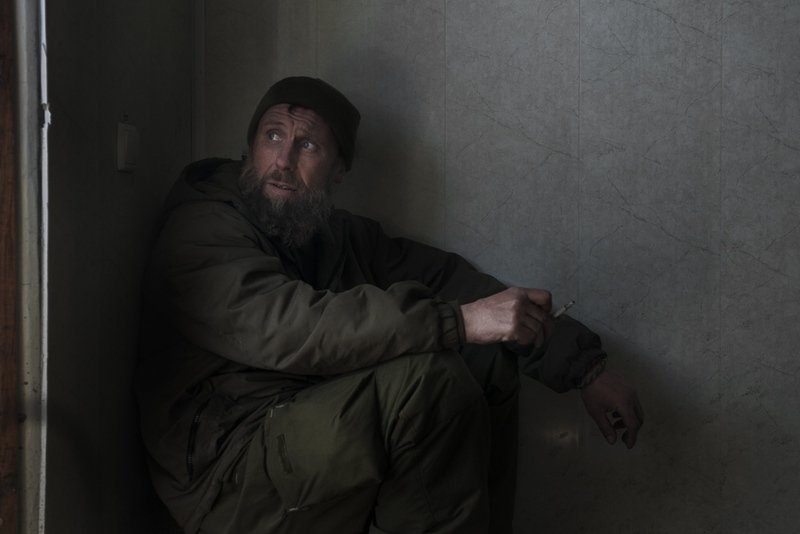 Donut, an unpaid volunteer soldier with Right Sector, stares out the window during a break in the shelling. 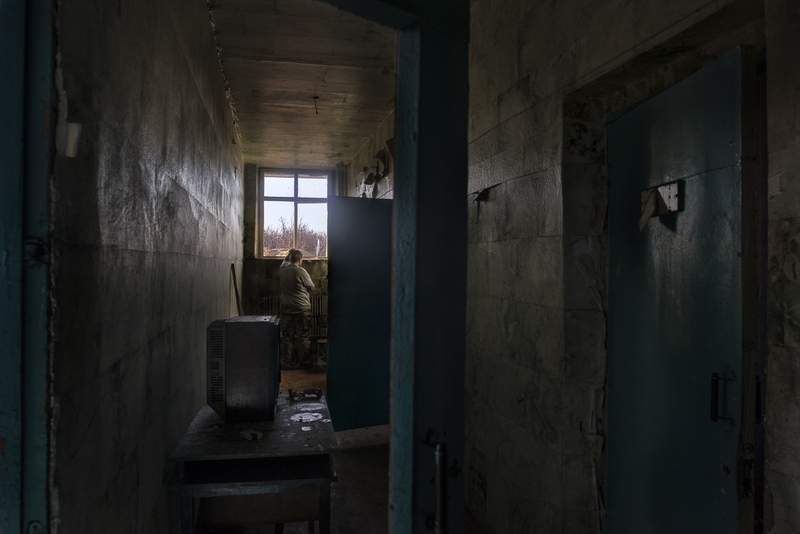 In the now abandoned industrial outskirts of Avdiivka, Ukraine, the 74th battalion of the Ukrainian army maintains several small positions within 100 meters of those held by separatists troops of the Donetsk People’s Republic (DNR). 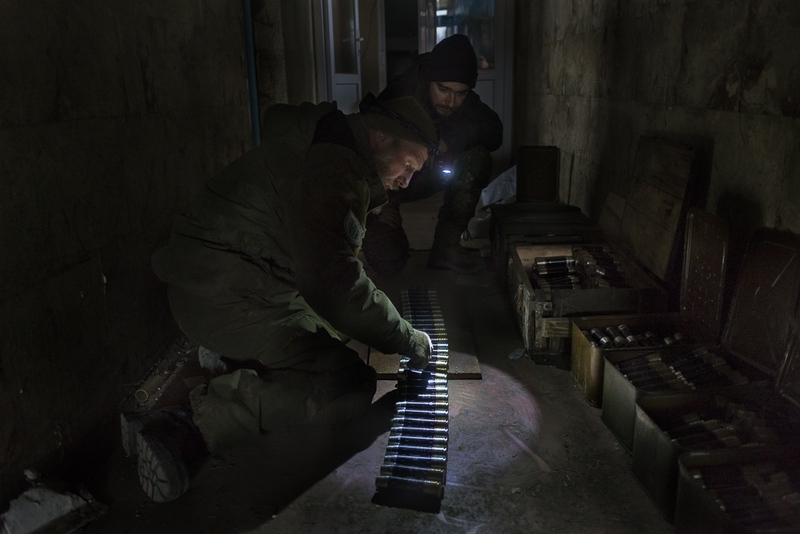 Despite the conditions of the Minsk ceasefire agreement, separatists continue to fire 82mm,120mm, and 152mm shells, rocket-propelled grenades, and heavy machine guns into the area. They have also deployed snipers. 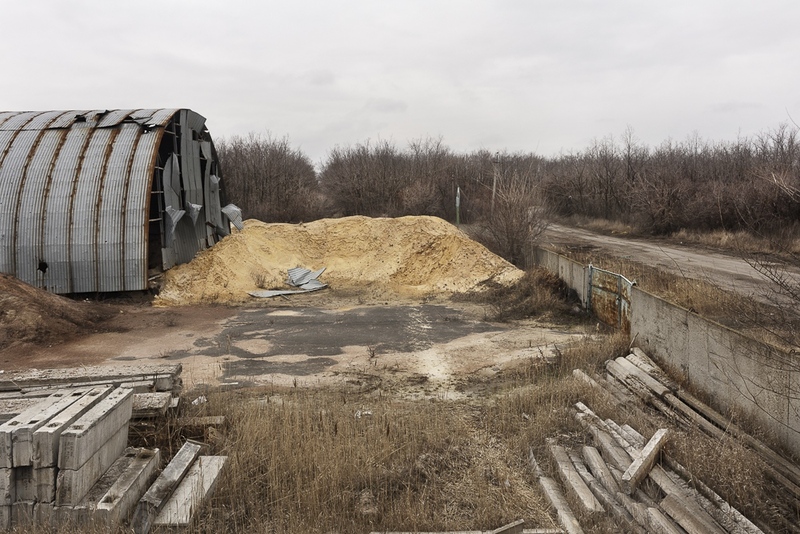 The strategy is to destroy the remaining buildings so that Ukrainian troops can entrench and fortify their positions. 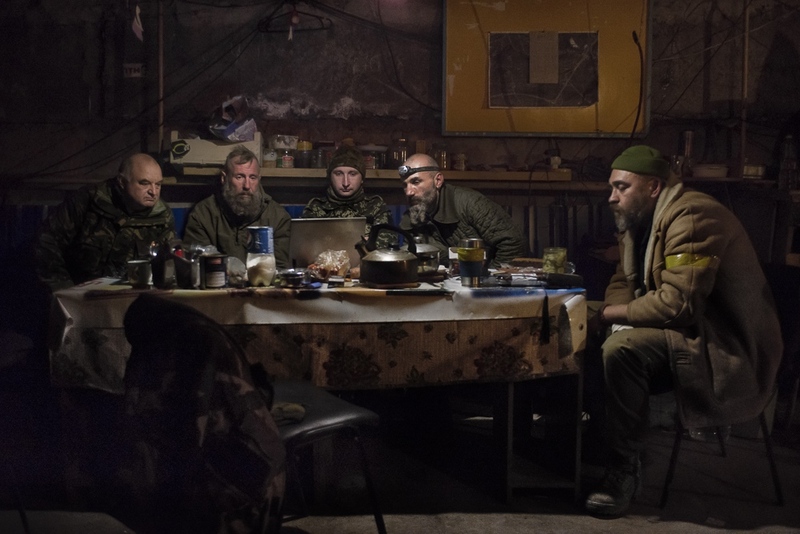 The soldiers on the ground believe that the separatists, who have suffered heavy casualties, are panicked; thinking that Ukrainian forces are preparing to move into the grey zone. 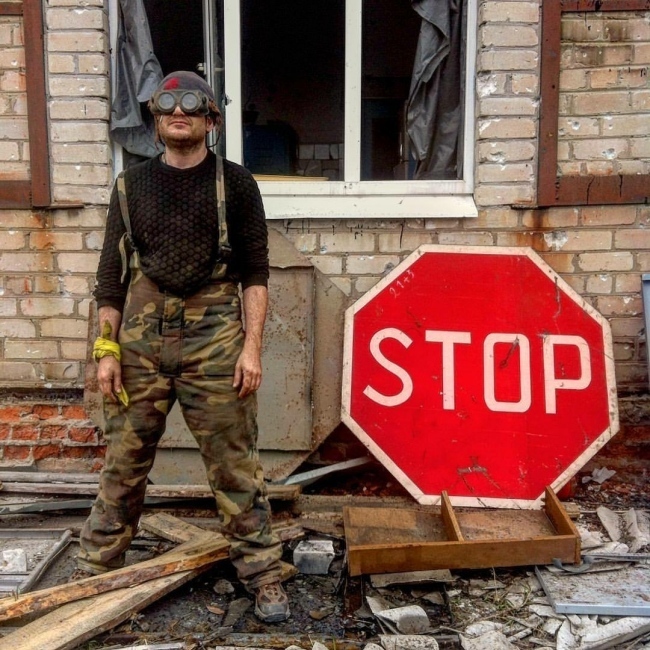 Control of the zone means control of the road to Horlivka and the train station, both essential for supplies coming to Donetsk. On the other side, the city of Avdiivka is also strategically important. It is home to the only functioning coke plant. 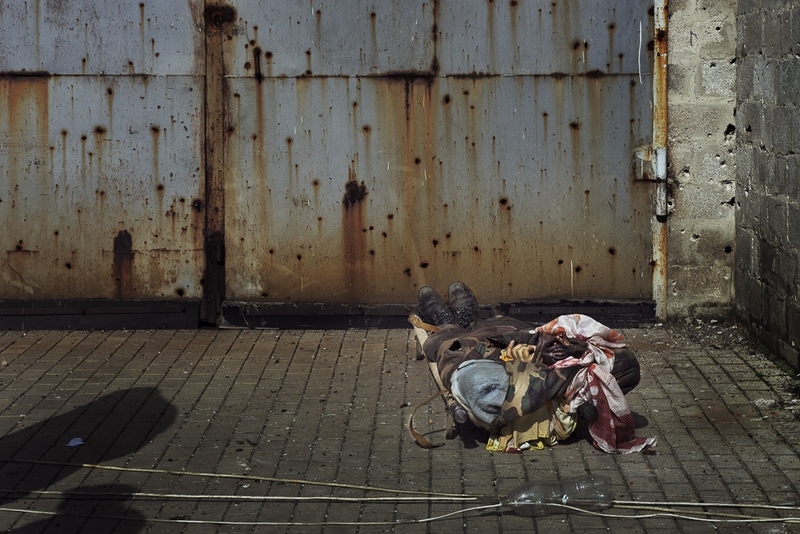 If it is lost again or destroyed, the Ukrainian steel industry will come to a halt. 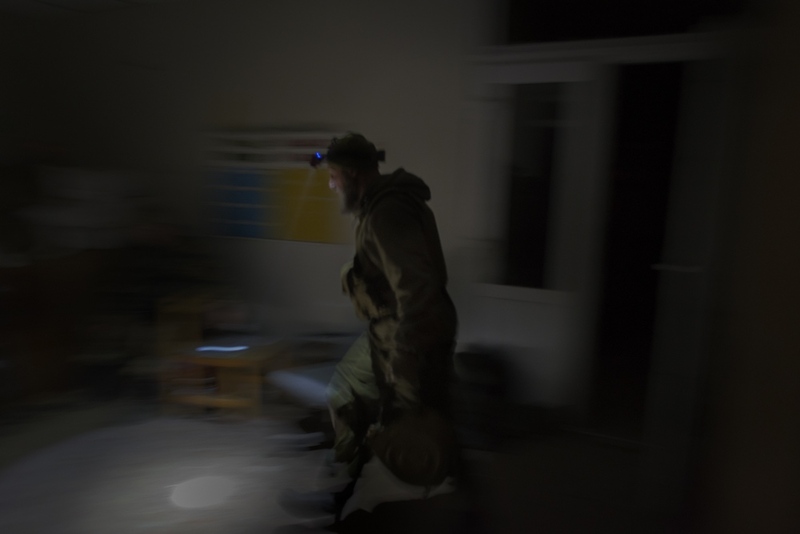 An unpaid volunteer unit belonging to Right Sector maintain one of the positions and fights alongside the regular army. It is made up of tight knit group who have fought together in nearly every major battle of the war and have yet to suffer a casualty. Despite benign code names like Santa, Donut, Newt, Martin, Jar, and Shaman, they maintain a reputation for bravery and discipline. As the battle for Avdiivka escalates, they take shifts operating defensive weapons outside of the relative safety of their bunker. Both days and nights are long and restless as shells continued to pound the area randomly. At night, they operate in in complete darkness and silence for fear of giving away their positions. Meanwhile, below ground in the basement bunker, they nervously wait out the shelling. Even indirect hits shake the foundation and direct hits threaten the the integrity of the building. Despite the hardships, the group has made a decision to remain independent and unpaid. So, while they are free to come and go as they please, they routinely choose to man the most dangerous positions. 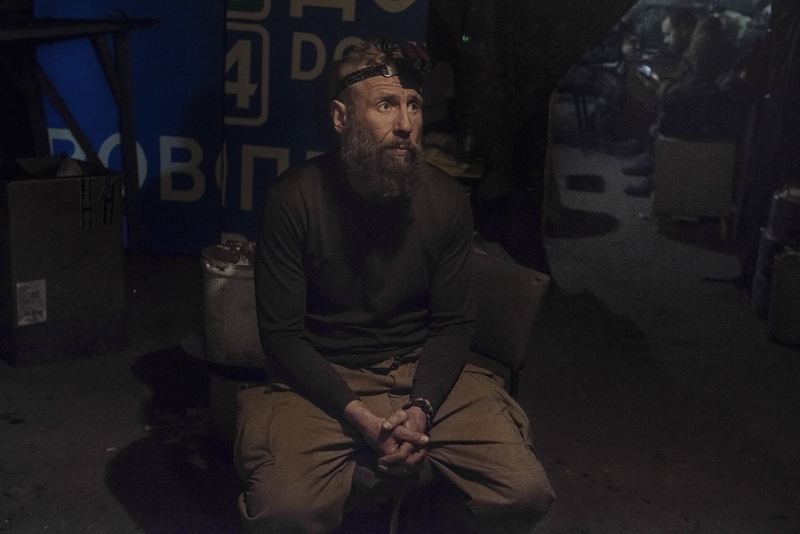 Despite the dangers, the local army commander, inspired by their confidence, has taken up residence with the volunteers. Their position has also become a social hub on the front line. They have a reputation for doing their jobs with a smile and for having some of the best food on the front. Soldiers from other positions come to coordinate operations that could otherwise be done over the radio or electronically in order to enjoy their company and a meal. As the political situation in Ukraine continues to change, the Right Sector volunteers understand their role in the war is precarious. The army command regularly denies permission to fire into the grey zone. 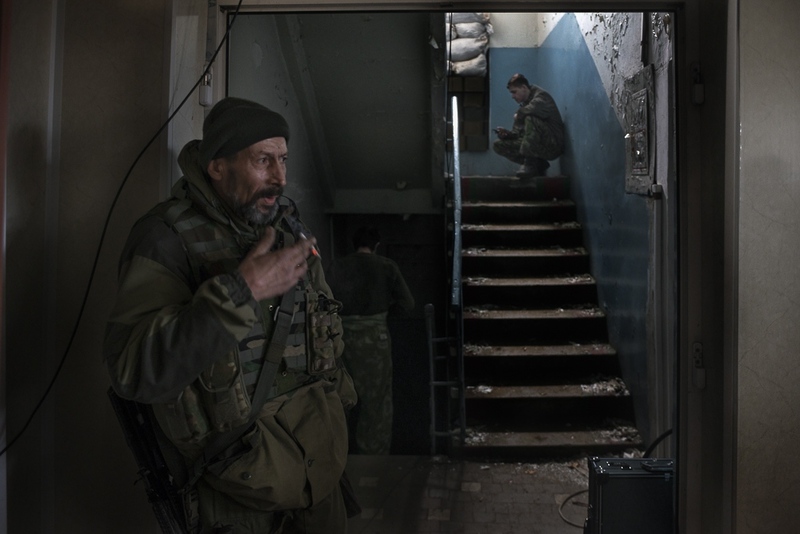 However as freelance soldiers, they have occasionally made the decision to fire at DNR troops seen delivering weapons to the front line. While this endears them to regular army soldiers, they know that they can easily be used as a political tool. While a blind eye is turned to certain ceasefire violations they know the can just as easily be blamed for undermining the ceasefire. They understand that their own government may one day turn its back on them. 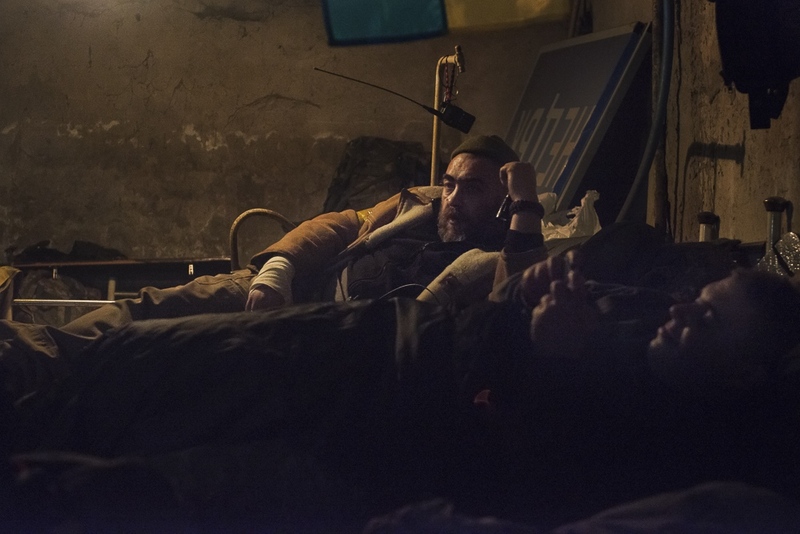 However, they say that they don't fight for the government, but for the idea of Ukraine.